In-Spirels Magazine is a London based lifestyle online magazine covering music, fashion, hair & beauty and much more, with the focus being on those who inspire others and act as positive role models via their achievements. 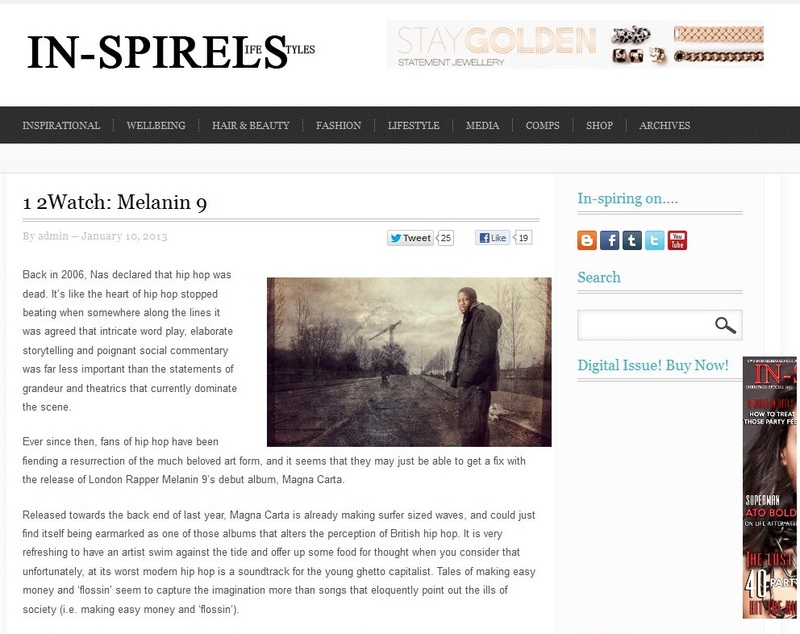 Recently, the publication’s Taytula Burke interviewed Melanin 9 for their “1 2 Watch” feature. Speaking of genius, I think there was a hint of that going on during the composition of Magna Carta. The LP has a throwback ‘diggin’ in the crates’ kind of vibe; so if you are bored of the monotonous computer generated sounds around, you’ll love the jazzy soulful tones and ‘real hip hop’ beats that M9 flows effortlessly over…..